5.9 earthquake hits off the coast of Ecuador. 5.0 earthquake hits the Alamagan region, North Mariana Islands. 5.0 earthquake hits southern Xinjiang, China. In the Atlantic Ocean: Tropical Storm Florence is located about 1205 mi…1940 km wnw of the Cabo Verde islands and about 1300 mi…2090 km ene of the Lesser Antilles with maximum sustained winds…70 mph…110 km/h. Present movement…wnw or 290 degrees at 13 mph…20 km/h. Tropical Storm Gordon is located about 190 mi…305 km ese of the mouth of the Mississippi river with maximum sustained winds…65 mph…100 km/h. Present movement…wnw or 300 degrees at 15 mph…25 km/h. In the Eastern Pacific Ocean: Hurricane Olivia is located about 630 mi…1015 km sw of the southern tip of Baja California with maximum sustained winds…80 mph…130 km/h. Present movement…w or 275 degrees at 12 mph…19 km/h. In the Western Pacific Ocean: Typhoon 25w (Jebi), located approximately 147 nm west of Cape Fuji, Japan, is tracking north-northeastward at 34 knots. In the Central Pacific Ocean: Hurricane Norman is located about 870 mi…1400 km e of Hilo Hawaii and about 1050 mi…1690 km e of Honolulu Hawaii with maximum sustained winds…85 mph…140 km/h. Present movement…w or 275 degrees at 17 mph…28 km/h. Japan – The strongest typhoon to hit Japan in 25 years made landfall on Tuesday, with more than a million people urged to evacuate to escape violent winds and heavy rainfall. Typhoon Jebi, with winds of up to 216km/h, made landfall around midday in southwestern Japan near areas still recovering from deadly record rain earlier this summer. It was moving fast on a northeast track, reaching the city of Kobe by early afternoon. More than 700 flights were cancelled, including several international flights departing and arriving at Nagoya and Osaka, along with ferries, local train services and some bullet train lines. Florida, USA – Tropical Storm Gordon formed in the Florida Keys Monday morning and lashed South Florida with rain and tropical storm force winds. Parts of South Florida are already under water including Homestead. The area of 328th Street is pretty waterlogged. In some areas the water was more than a foot deep, making driving very difficult. Tropical Storm Gordon is forecast to strengthen over the next 48 hours and could be near hurricane strength when it makes landfall along the central Gulf Coast. Ninety elephant carcasses have been discovered in Botswana with their tusks hacked off, a charity said Tuesday, in what is believed to be one of Africa’s worst mass poaching sprees. Most of the animals killed were large bulls carrying heavy tusks, Elephants Without Borders said. The grim discovery was made over several weeks during an aerial survey by Elephants Without Borders and Botswana’s Department of Wildlife and National Parks. The animals were shot with heavy-calibre rifles at watering spots near a popular wildlife sanctuary in the Okavango Delta. The killing continues at a dizzying pace of about 30,000 elephants a year to meet demand for ivory in Asia, where tusks sell for around $1,000 (R15,200) a kilo. Elephants in Zambia and Angola, north of Botswana, “have been poached to the verge of local extinction, and poachers have now turned to Botswana. The government was not immediately available to comment on rangers being apparently disarmed earlier this year. Botswana previously had a zero-tolerance approach to poaching, with a “shoot-to-kill” policy against poachers. Poachers have also targeted rhino, said Chase, after six white rhino carcasses were found in recent months. Hungry and homeless: B.C. wildfires are forcing bears out of critical habitats. While many people across the province have been forced to flee their homes due to wildfires, so too have wildlife. Fires rip through forests, destroying habitats and burning food sources. When a bear is forced out of its territory, it will move in search of a new home. However, that new home may already be inhabited, at which point the bears will fight each other to lay claim to the patch of land. 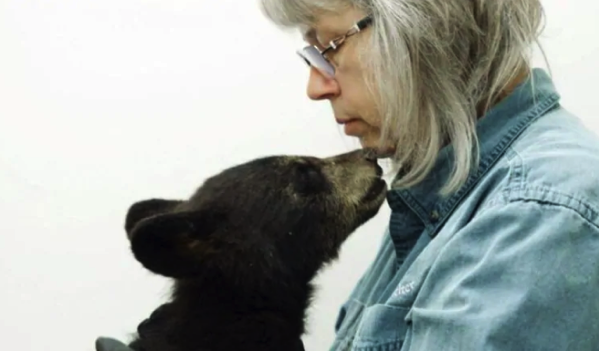 Usually, the weaker bear will be pushed further away in search of food, creating a ripple effect, according to Langen, until it wanders into an urban area, sniffing out garbage cans for food. This represents a danger to the public and to the bear. Numerous bears have been treated at wildlife sanctuaries and societies for dehydration and malnutrition caused by the wildfires. A number of animals have also died. The cholera outbreak in Niger that started in early July has now topped 2,000 cases, according to the World Health Organization. Since the beginning of the outbreak on 5 July 2018, a total of 2,013 suspected cholera cases, including 37 deaths (case fatality ratio 1.8%), have been reported. Officials at Yangon General Hospital in Myanmar reported at least 18 human deaths due to rabies during the first eight months of the year, according to a Myanmar Times report today. This total is only for those treated at the Yangon hospital and does not include numbers from other hospitals across the country. Since March 2013, when the avian influenza A(H7N9) virus infection was first detected in humans, a total of 1567 laboratory-confirmed human cases, including at least 615 deaths1, have been reported to WHO in accordance with the International Health Regulations. In the latest wave (the 6th wave since Oct 2017), only three human cases have been detected; meanwhile there have been generally fewer A(H7N9) virus detections in poultry and environment samples, according to various reports from mainland China and China, Hong Kong SAR.